UTHSC students provide dental care to a middle schooler. A significant amount of kids across the nation lack access to oral health care. According to a Pew Center on the States report, an estimated 17 million low-income children — one out of every five — go without dental care every year. The event will take place Thursday, February 5th from 8:30 a.m. until noon. This is the fourth consecutive year UTHSC has participated in National Give Kids A Smile Day. The program was launched in 2003 by the American Dental Association with the goal of making dental education and services more accessible to underserved children. 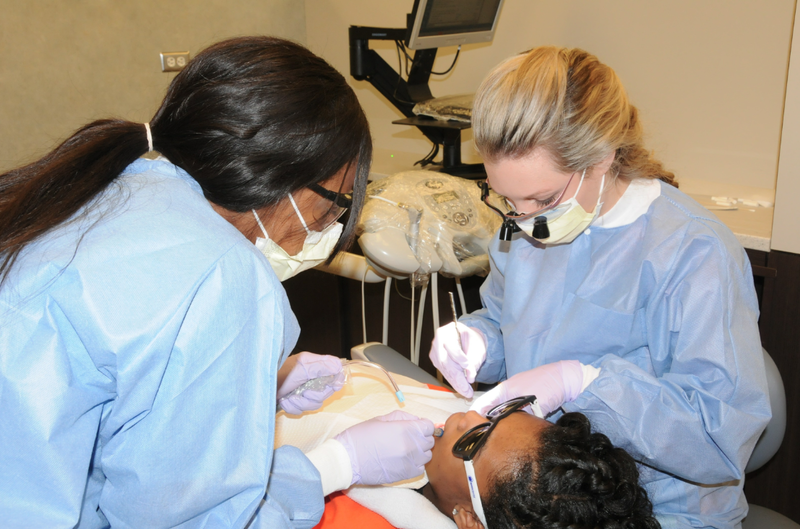 Faculty, students and staff from the UTHSC’s College of Dentistry will provide more than 80 students at Memphis Academy of Health Sciences Middle School with free dental screenings, teeth cleaning and a range of other oral health services. Students will receive assistance on the third floor of UTHSC’s Dunn Dental Building (875 Union Avenue). The value of the nearly 2,000 dental procedures that UTHSC has donated to Memphis students thus far reportedly amounts to more than $57,000. In addition to Memphis, there are UTHSC College of Dentistry clinics in Jackson, Tennessee and Little Rock, Arkansas. Dental clinics in Bristol and Union City are scheduled to open this summer. Facilities in Nashville and Knoxville are slated to launch next year. All UTHSC dental clinics are supervised by faculty and staffed by senior-level students. The clinics are focused on serving underserved adults and children.